Quanah Parker, last great chief of the Comanche Nation. I guess you could say that Mr. Parker was very successful man. After all, he had made some $40,000 dealing in railroad stock - he was a prominent rancher and entrepreneur - a leader of men. Not too bad for a man once looked upon by the people of Texas as a "half-breed savage." According to information acquired from the Handbook of Texas, Quanah Parker was born around 1845 near the Wichita Mountains in what is now Oklahoma. He was the son of Peta Nocona, a war chief of the Nocone Comanches, and Cynthia Ann Parker, a white captive. 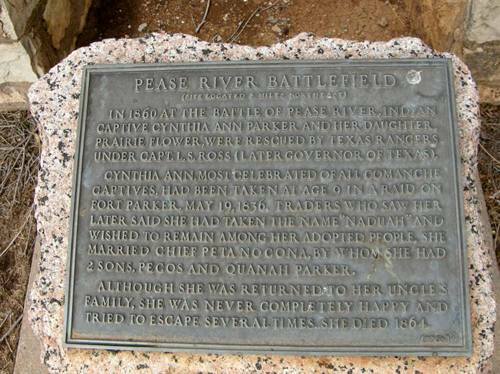 Cynthia was captured in 1836, when she was eight years old, during a Comanche raid on Parker's Fort. History has recorded that Chief Nocona later married Cynthia and made her his only wife. It was the way of the Comanche for a man to have several wives but Nocona went against this tradition. It seems that over the years Cynthia Ann converted to the Indian way of life. She went on to have two more children, a girl named Topasannah (Flower) and a son named Pecos. In his book, They Rode for the Lone Star, author Thomas W. Knowles describes Quanah Parker's childhood as fairly normal, but this all changed in December of 1860. While Chief Nocona was away on a hunting trip, Texas Rangers under the command of Capt. Lawrence Sullivan Ross attacked the Comanche camp. Cynthia Ann and Topasannah were captured and returned to the Parker family. There are conflicting reports as to what happened to Nocona, one version has it that he returned during the battle and was killed. Cynthia and her young daughter remained with the Parker family - despite her pleas to be returned to the Indians she was not allowed to do so. She tried to escape several times and was placed under guard. Cynthia had been raised by and lived with the Comanches for over 20 years. She couldn't speak English and she longed to take her young daughter and return home. Things got worse for Cynthia Ann; her little girl became ill with a "white man's" disease and died. And in the way of the Comanche, Cynthia grieved with wailing prayers and self-mutilation. She eventually starved herself to death. 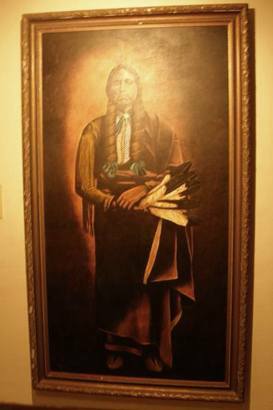 Now an orphan, Quanah Parker was taken in by the Quahadi Comanches of the Llano Estacado. This band was described as the most warlike of all the tribes. It seems young Quanah adapted well to his new family and later became a war chief of the Quahadis. He swore vengeance against the white man for the death of his parents and sister. Quanah's Comanche band created havoc on the plains, raiding white settlements at every opportunity. Although constantly pursued by units of the United States Army, the Comanches continued to terrorize the frontier and were never captured. The end was near for the Comanches however, as the buffalo hunters poured onto the plains and slaughtered the animals so important to the Indian's survival. Again Quanah gathered his people for one last attempt to drive the white man from the plains. He formed an alliance with the Cheyennes, Arapahos, and Kiowas. This group was made up of about 700 warriors. Finally, an attack by the Indians on buffalo hunters at Adobe Walls was a disaster for the tribes. The superior firepower of the hunters proved to be too much for Quanah's men and they were soundly defeated. Fifteen were killed and many more were wounded, including Quanah Parker. There was no fight left in the Indians - they were constantly on the run and near starvation. Parker and his men finally gave up and allowed themselves to be moved onto the Kiowa-Comanche reservation in southwestern Oklahoma. Quanah Parker was a smart, resourceful man and a great leader. Again he urged his people to make a transition; this time to the white man's way of life. Under his direction, schools were built and children educated. He created a ranching industry on the reservation and leased grazing land to the white ranchers. He showed his people how to build houses and plant crops. Quanah advocated cooperation with the whites but maintained that the Indians should never abandon their own traditions. Parker went on to become a wealthy man. Although he embraced the white culture, to some extent, he continued the Comanche way. He refused to become a Christian or become monogamous. Quanah maintained a 22-room house and had seven wives and numerous children. One of his sons, White Parker, became a Methodist minister. The federal government decided in 1901 that Quanah's Comanches were becoming too powerful, in an economic sense. They decided to break up the reservation into individual holdings and open it up to settlement by outsiders. Parker continued to make money with his ranch however, and he maintained his position as the most influential man among his people. They honored him in 1902, by electing him sheriff of Lawton, Oklahoma. On February 23, 1911, the white man's disease did what their bullets couldn't do - Quanah Parker died of an "undiagnosed ailment." History has been kind to Quanah Parker. He has been remembered as a splendid warrior and leader of men - an outspoken lobbyist using the white man's own law to gain rights for the Indians. Perhaps his greatest accomplishment of all came when he won full American citizenship for all of his people. Author Thomas W. Knowles said it best, "In the person of Quanah Parker, an extraordinary man in whom the blood of two strong peoples flowed, the Lone Star and the Comanche Moon at last found common ground." 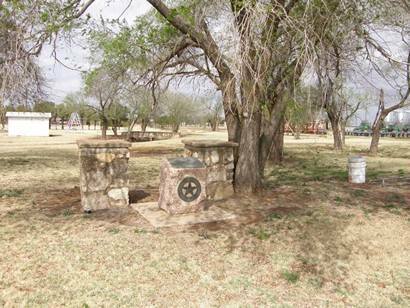 The last great chief of the Comanche Nation is buried near his mother in a cemetery at Fort Sill, Oklahoma. I have been to Omaha and Palestine, Texas in search of confirmation to no avail. I have been told by family before their passing that my grandmother Nancy Louise Johnson, born July 17, 1921 in Omaha, Texas, was a direct descendant of Quanah Parker. All birth records from this time, were destroyed in a fire. Her parents were Oliver Vanner Johnson and Margaret Hayden. Margaret Hayden passed away when Nancy was just 2 years old. As the story goes, my grandmother, Nancy Louise Johnson, was sent to live with a Hispanic family until she was 15 and Oliver Johnson had remarried. She has a sister Rebecca Parker, who preceded her in death. I don't know her birth. It was never clear to anyone exactly how or if the connection is true. However, until the day she passed, my grandmother, Nancy Louise Johnson held the look of a Comanche.